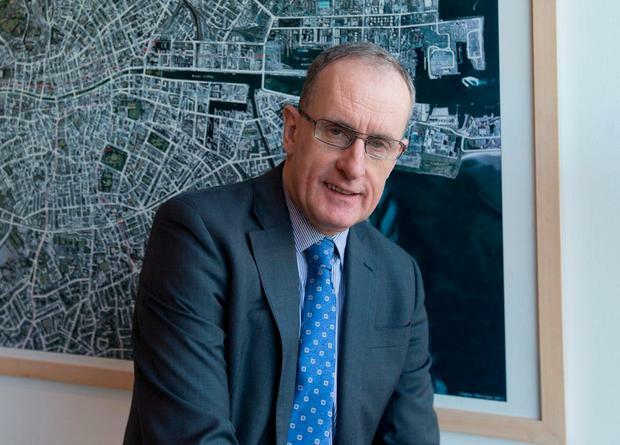 AN Oireachtas committee has hit out at Dublin City Council chief executive, Owen Keegan, after he declined an invitation to attend a meeting about the rejected College Green plaza plan. Mr Keegan was invited to today address the Oireachtas Committee on Transport, Tourism and Sport about An Bord Pleanala’s decision to reject the €10m plaza, over concerns about buses and traffic. He wrote to the committee on Friday to say he would be unable to attend, offering instead to send two council officials . However, he said these officials would not be able to answer questions on what the council’s response will be. Mr Keegan also said the council would not be making an opening statement on the matter to the committee. Chairman of the committee, Fergus O’Dowd, adjourned the meeting until Mr Keegan was available and said it wanted to put on record its views on the chief executive’s response. “We view this response as disappointing and absolutely unacceptable,” he said. Aoife Moore Tanaiste Simon Coveney has met with political representatives in Belfast following the murder of Lyra McKee. Kevin Doyle Fine Gael election candidates will campaign on a promise of fighting to reduce the Local Property Tax in their area, the Irish Independent can reveal. Kevin Doyle Parental leave will eventually be extended to nine weeks - despite concerns over the cost for schools, hospitals and small businesses.